The Commander knife-battle tested and proven-incorporates some of the most advanced ergonomics ever featured on a folding knife. 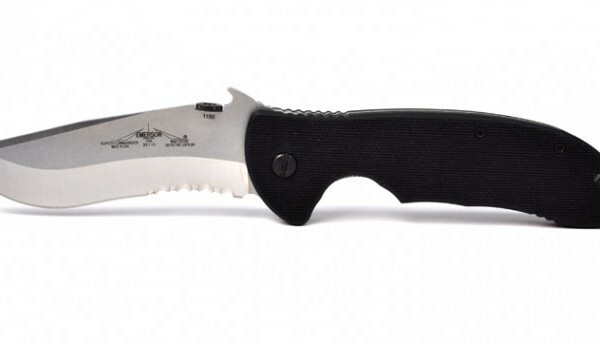 The knife, already in use with elite armed forces, European Military strike teams and NATO Counter-Terrorist units throughout the world was chosen by the U.S. Navy SEAL teams for issue to special units within the Naval Special Forces Units. Because of its ruggedness, it has become a favorite of hunters, outdoorsmen and adventurers the world over. It features the patented “wave shaped opening feature” with Dragon’s Teeth™ serrations.